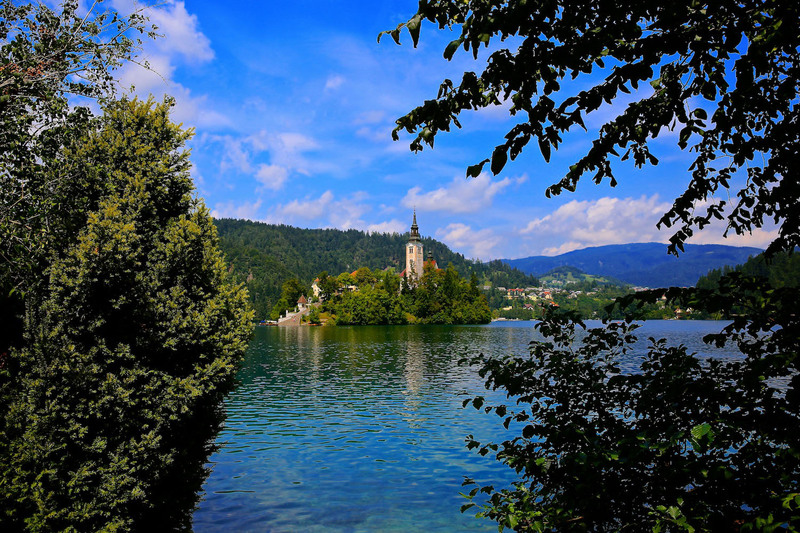 As a day trip from Zagreb, Croatia, I booked a private tour of Lake Bled with Zagreb Tours . My guide, Jakov, picked me up from my hotel, Esplanade Zagreb, and then we drove through Slovenia for 1.5 hours. The drive along the countryside was enjoyable and easy. 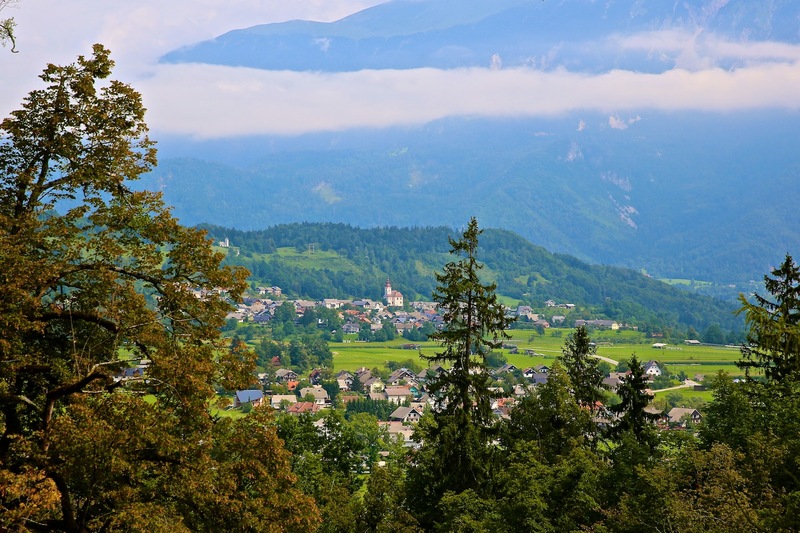 Jakov shared interesting facts all about the charming and lush Slovenia while I took photos from the car. 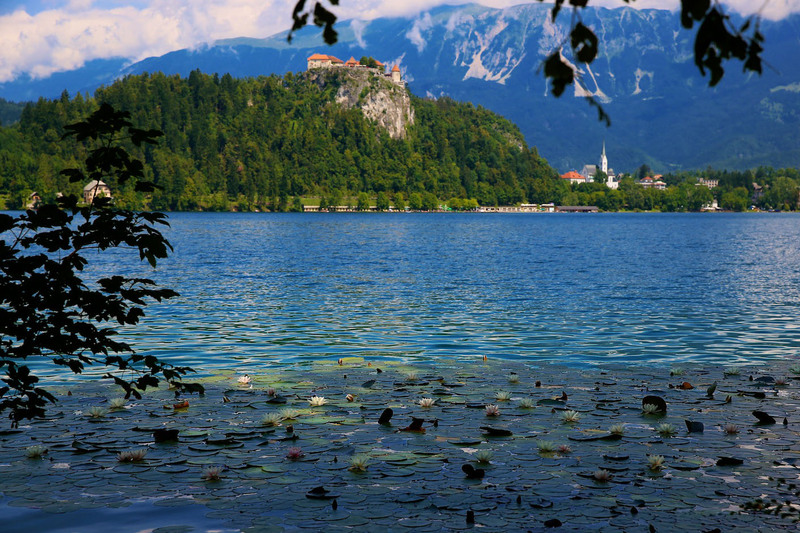 I have to admit, Slovenia was a country I had never thought about visiting until very recently. I had no idea what was in store for me. 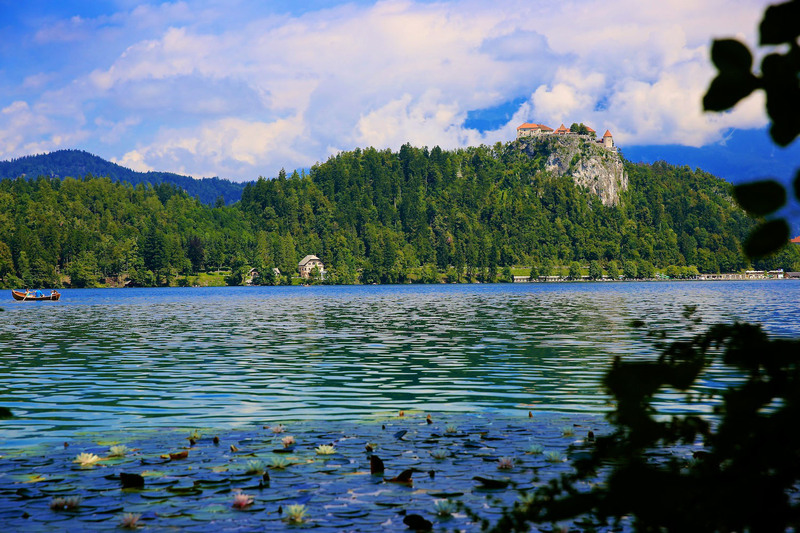 I was deeply taken by the rolling green hills, forests, castles, and orange rooftops that surrounded me. What beauty! The lake was a lot more lively then I was expecting. There were people soaking up the sun, rowing boats, enjoying a latte, and just having a grand ‘ole time. A wide path surrounds the lake, which makes for a beautiful walk, jog, or bike ride. Swimming is also great here as the water is some of the clearest and clean water I’ve ever seen. The sparkling aqua color was so inviting that I considered taking a dip myself! 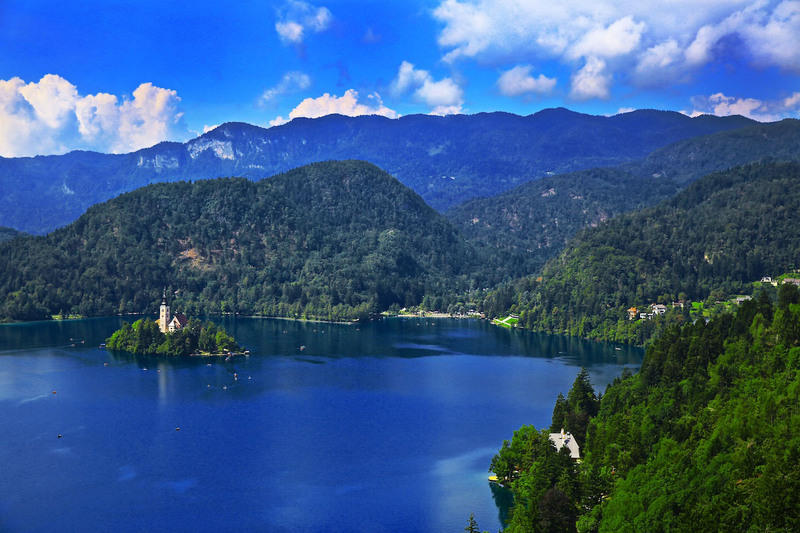 For a marvelous aerial view of Lake Bled, we went up to Bled Castle, where we could see around the entire lake. Absolutely stunning! 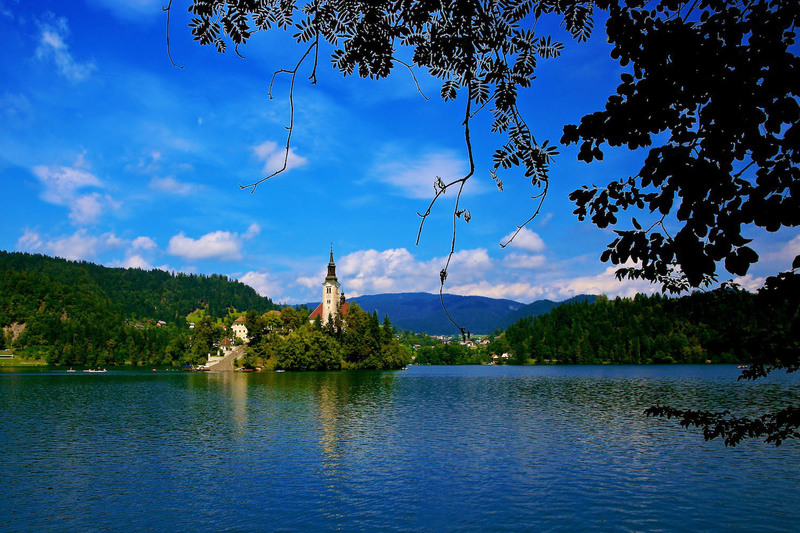 Bled Lake surrounds Bled Island, which houses a pilgrimage church built near the end of the 17th century. Many other Baroque-style buildings are situated around the lake and make for a very wonderful and very different view then I am used to seeing in my hometown of Los Angeles! 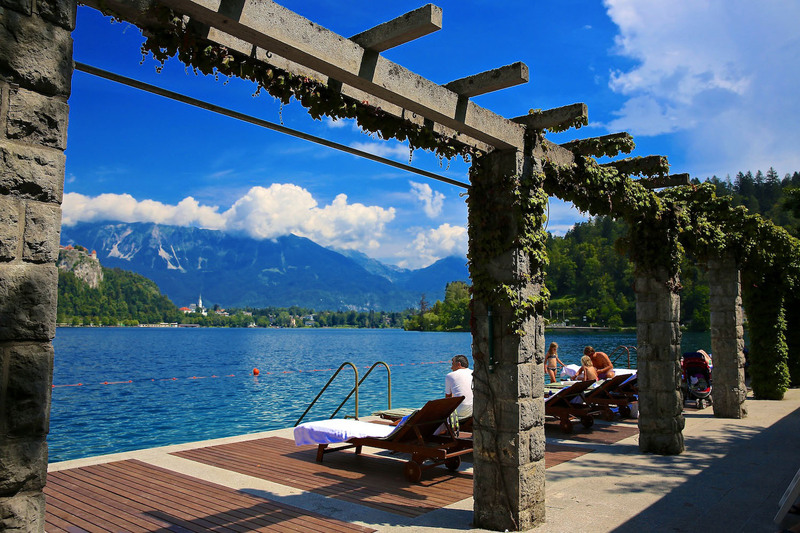 Needless to say, I was in heaven, and wanted to stay in Lake Bled for a week, not a day! These pictures are absolutely stunning! Looks like a wonderful get-away-vacation spot, clean and unpolluted. How is the vegetarian fare out there? The food was so good! I had no problem finding vegetarian food in Slovenia and Croatia. They have the best cheese! Love your photos, perhaps I should stay here for a few days? 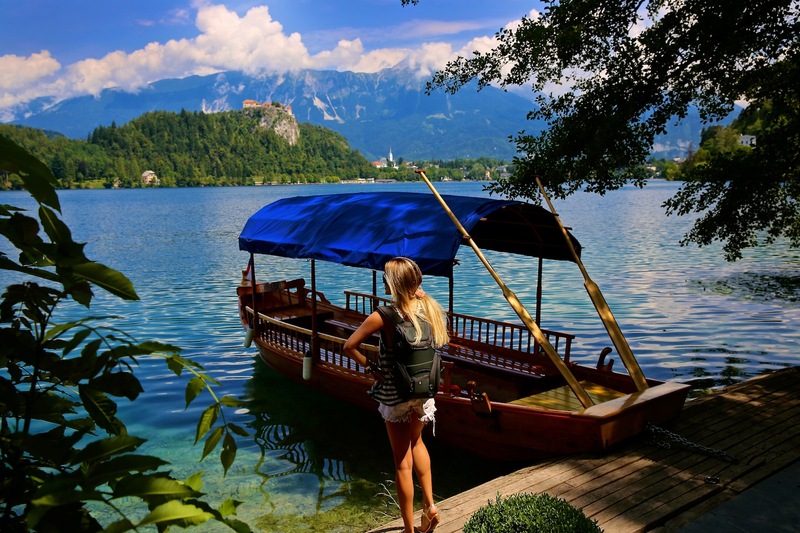 Karen, Lake Bled is wonderful! You should definitely try to include this in your itinerary. 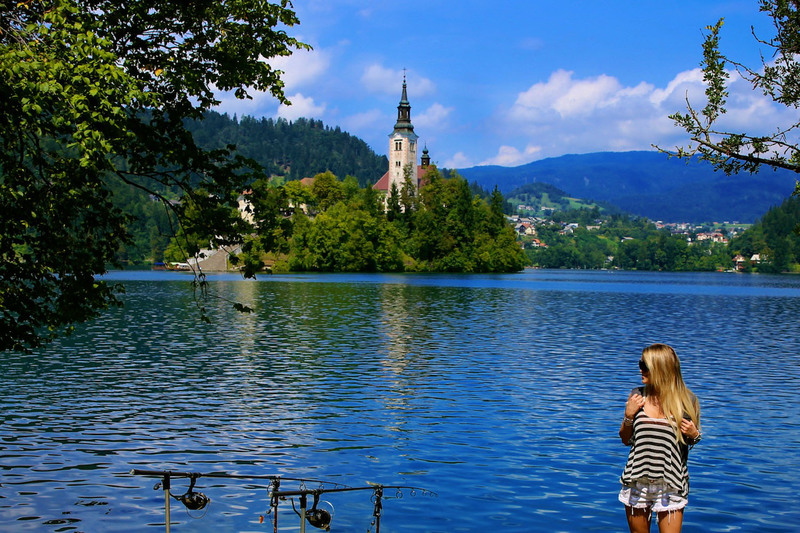 Bled is ok BUT … what a woderful girl !!!!!!!!! If I go there next month, I will absolutely go… Photos are really great… View is just one word. AWESOME. This blog is really useful to people according to me. I have been there and I cant agree more of how beautiful and captivating the place is!